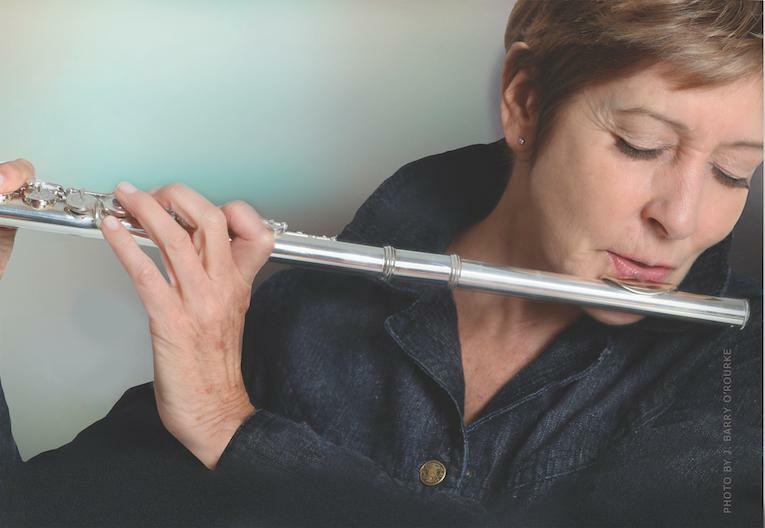 Ali Ryerson's Jazz Flute Masterclass is a step-by-step course designed for both the aspiring and the experienced jazz flutist. Join Ali as she explores a broad range of topics related to the process of improvisation and creating a true jazz sound on the flute. She'll explain and demonstrate jazz articulation & accents; how to modify vibrato; swing feel (the real deal! ); idiomatic rhythmic figures; the relationship between chords and scales and how to apply; 12-bar blues; developing a motif...and more! This course is ideal for both the classical flutist taking their initial plunge into jazz improv, and the budding jazz flutist seeking to develop their improvisational skills. Jazz Flute Masterclass will help you to achieve your goal: becoming a more experienced jazz flute player! Your DVD isn't worth $35.....it's absolutely PRICELESS!!! It took me until yesterday to finish watching it because my daughters' been visiting. I still managed to sneak in time to watch a couple parts each day. Wow! From an ex-teacher point of view, it's perfect. You include just the right mix of theory with examples in each section. It's a great addition to your book. So smart of you to leave off the accompaniment to really get your point across about the importance of practicing solo. I love the improv examples in all the sections. Another great part is how you go step-by-step putting in all the little helpful tips. For me personally, it fills in the gaps of my piece meal jazz flute education. I'm having so much fun practicing. On to the blues - This is priceless!!! I'm so glad that you talk about major Pentatonic- I didn't think about it for years. Just minor Pentatonic. I know the Pentatonic and blues stuff- but it is SO well taught. You are such a natural teacher. Ali Ryerson has carried on the family tradition, becoming an international touring/recording artist, with performances ranging from Carnegie Hall to the Blue Note to festival appearances worldwide. Ryerson has released nearly two dozen albums as leader or co-leader on major jazz labels such as Concord Records, DMP, Capri, and legendary jazz producer Bob Thiele’s Red Baron. She has recorded and performed with jazz greats such as Stephane Grappelli, Red Rodney, Roy Haynes, Hubert Laws, Art Farmer, Kenny Barron, Frank Wess, and Joe Beck, as well as classical artists Julius Baker, Luciano Pavarotti (while principal flutist with the Monterey Bay Orchestra), and harpsichord master Anthony Newman. Ali was musical director of the Hudson River Regional Jazz Festival (2001-’04), Jazz chair of the National Flute Association (2005-’10), Low Flutes Chair of NFA (current) and founder of the NFA Jazz Flute Big Band. The Jazz Flute Masterclass is available in two formats: DVD and streaming video. For pricing information, select the desired format from drop-down menu.